Its God Jesus! FUSION HA! Who needs girls with the new Jedi ET God Jesus!!! That is the bible. In robo form. 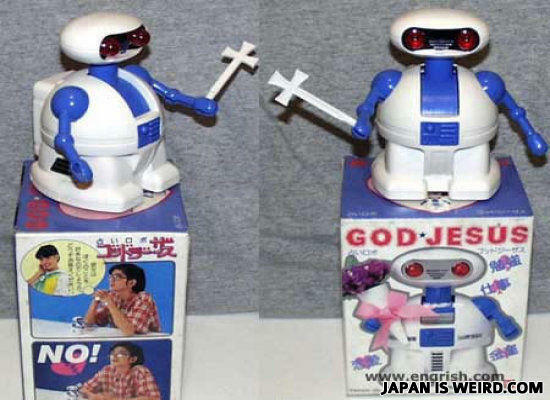 Does it run on communion wafers? Maybe it is fasting for lent, because to humans, Japanese food is too tasty.